Triangle Frenzy Runner, Approx. 20in x 46in. Uses Creative Grids CGRT12560. 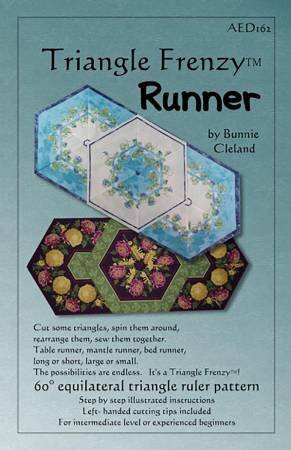 Cut some triangle, spin them around, rearrange them, sew them together. Table runner, mantle runner, bed runner, long or short, large or small. The possibilities are endless.